Good Lesbian Books: Introducing Lesbian Fiction: Happy Birthday To Us! 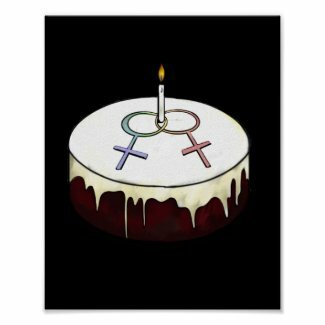 Introducing Lesbian Fiction: Happy Birthday To Us! Welcome to our first birthday party and guest posting event! We'll be joined by a series of guest posters over the next few days, all doing their best to persuade you of the best book to pick up for a first time foray into lesbian fiction. We will be taking more throughout the week, if you become inspired and wished to send us something, please do - a party is only as good as its guests! *side note: the posts were scheduled to go up automatically, but they aren't. So they'll be posted regularly-ish when we get online. There's a nice mix of authors, reviewers, and ordinary readers. It's interesting to note that, not only are they all recommending different books, but that many of those books are sitting in our review pile somewhere! Some of that is because they are recently published, and so on the radar, others are classics that we haven't quite managed to read yet. We're keeping a list of guest posters here, and you can read our original call for contributions here. If you just want to suggest a title or two, go ahead and leave us a comment on the main event page. It will be interesting to see which titles people recommend. What? There's no cake? Oh. I guess we ate it already. Due to overwhelming complaint, we made another cake.